If you enjoyed the Austin Powers films then you’ll be pleased to hear that Blueprint Gaming has just released a slot based upon the British secret agent. It is a 5 reel slot with 25 fixed paylines. 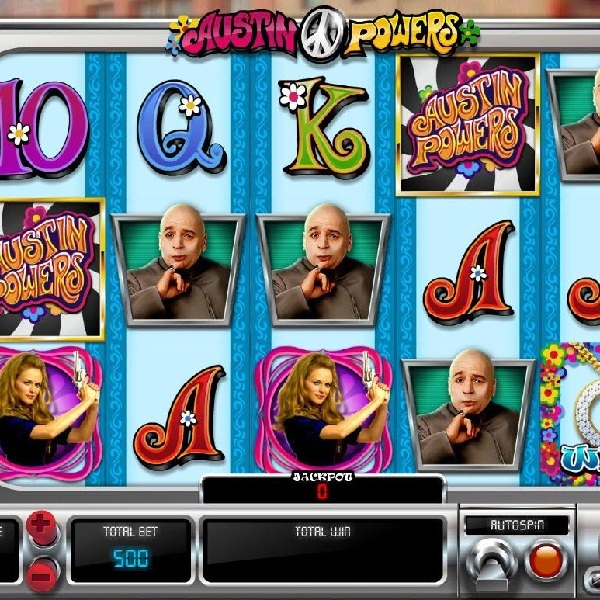 The four high value symbols are the game’s logo, Austin himself, Dr Evil and Felicity Shagwell. The wild symbol is a flowery male gender icon and there is also a hypnotising scatter symbol. There are three base game bonuses which can be triggered at any time which can award extra wild symbols, guaranteed payouts and more. When three scatters land you spin a wheel to choose between six bonus features. The features are all based upon episodes from the films and offer a range of free spins with extra bonuses, picking games and more. The slot has a betting range of £0.25 up to £500 per spin and a top payout of 20x.